The Civil War was the bloodiest conflict in American history. The extreme violence between the Northern and Southern states sent a shockwave of sorrow and fear throughout America. It was traditionally estimated that 620,000 soldiers died fighting on the battlefield between 1861 and 1865. However, contemporary historical research suggests that the death toll number is closer to 752,000. In addition to the number of deaths, over 800,000 men went missing or were severely wounded. At the time of the Civil War, battlefield medicine was still in its infancy. This led to many injuries becoming severely infected and many of the injured receiving hasty, dangerous surgeries. In fact, Civil War battlefield surgery was a major cause of death during the war. 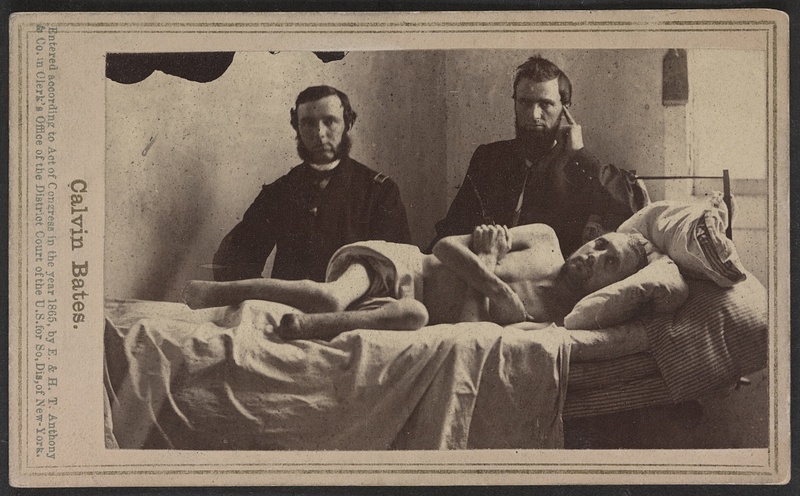 Many surgeons cared for the wounded right on the battlefield, and many Civil War medics performed amputations and open surgeries during the heat of battle. Furthermore, because field doctors were under massive amounts stress, they had to perform speedy surgeries that would never meet today’s medical standards. Still, many worthy surgeons didn’t get the recognition they deserved and were ridiculed for their services. This led to tall tales and false details being reported about what exactly took place. Discover what really happened with these grisly facts about Civil War battlefield surgery. Medics at that time were unaware of sterilization or hygienic techniques. Because of this lack of knowledge, they would often use unclean surgical instruments and they wore filthy, blood-stained garments on a continuous basis. Often, they didn't even wash their hands between one patient and the next. We operated in old blood-stained and often pus-stained coats, we used undisinfected instruments from undisinfected plush lined cases. If a sponge (if they had sponges) or instrument fell on the floor it was washed and squeezed in a basin of water and used as if it was clean. This caused cross-contamination issues, which put soldiers at high risk of contracting deadly infections. During the war, many amputations were carried out, and these procedures had to be done rapidly. For surgeons, this meant quickly removing appendages in as little as 10 minutes and laying them out in a pile. In fact, it was not uncommon to find makeshift hospitals with piles of rotting limbs left underneath an operation table or heaped outside. The Minié ball bullet and rifled cannons used at the time caused major damage to the wounded. In fact, many medics didn’t know how they would impact the body - but they soon realized that a shot to the bone would shatter it permanently. Because of this, and the need for quick treatment, numerous amputations were performed. In truth, there were other surgical operations that were also practiced to treat the wounded, and the reputation of Civil War doctors as "butchers" was exaggerated. Still, amputation became a frequently used procedure, which meant sawing through flesh and bone, tying off arteries, scraping the bone smooth, then flapping excess skin over to create a stump.